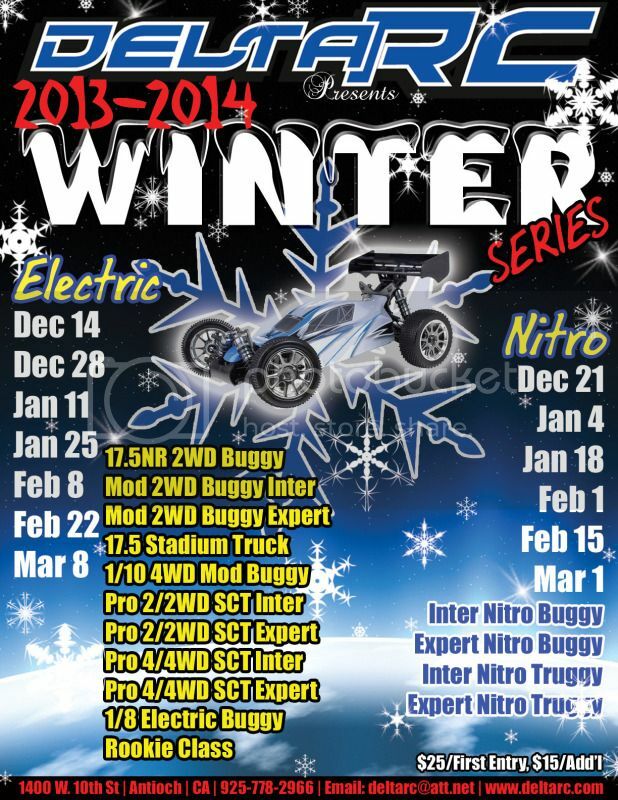 Is there going to be a offroad winter series? Saturday 10/26. Gates open at 4pm, racing starts at 6pm. Yes, we have lights. Come dressed in your Halloween Costume and your first race entry is free! We will be having a Halloween Costume contest with prizes! Come on out and enjoy the fun. Track was rediculous last Satuday. Pretty much sums it up. Im down. Building new mid motor car now. Thanks for the replies! If mid motor doesn't work on this surface something is wrong. I've never seen a 4x4 sc truck and 1/8 ebuggy wheelie before last weekend. Mid motor should rail. Bawler let it all hang out! Mid is the new way to go fast! Yes it is sugared, smooth and high traction. Big air tons of elevation changes and great flow! Is the big track sugared? Good times, we'll be there! Roll call! who's coming out? Kraig says yes for the big track Friday night!! Let's go racing I'm in for pro4 and mod or 17.5 buggy and or pro2 track was a blast last weekend!! Are we racing the big track Friday night? Big track will not be open until Saturday morning. We are working hard to get it back into shape after the rain we had. Its coming along excellent right now! Will there be any practice during the week before the race on 28th? Since the big tracks not got lighting right? No racing today, The track took to much water.